kissing frogs. : #monthofmovement: survived week one! I woke up on New Years Day sans hangover and also really excited to start the challenge. 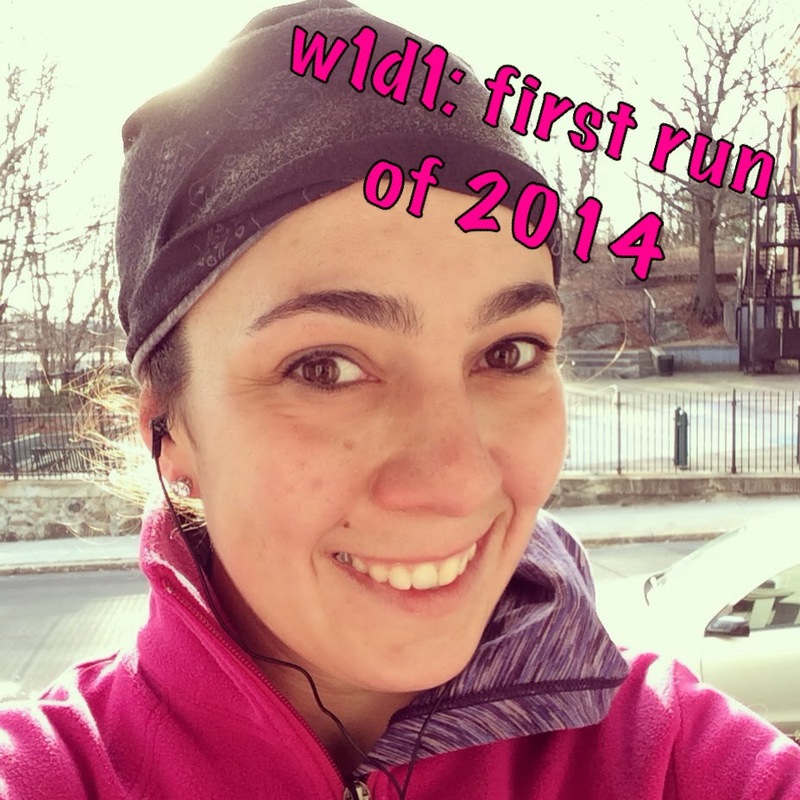 It's apropos that my first workout of 2014 would be a run. Marathon training always takes a toll on me, and I definitely needed a bit of a break after the race. But at the end of the day, running is my first love. Also, I have a few race goals in mind for the upcoming year. Everyone who knows me knows that yoga and I aren't exactly the best of friends. However, I also know that if I do 31 days of straight cardio that I will probably die or break myself. Not that yoga isn't strenuous, but I don't feel as exhausted after a class as I do after a hard run or a long climb. It started snowing on New Years Day and didn't really stop until Friday. I had decided to ride out the storm at j2's in Jamaica Plain, which meant that I had limited options, and even more so due to the weather. At around midnight on Thursday, I saw a tweet from a Flywheel instructor saying that the 9:30a class on Friday would be free. These classes are so awesome (and expensive) that it was worth the trek downtown in the snow. By Saturday I was feeling pretty stir crazy and homesick, so j2 and I made the trek to Somerville. I guess we weren't the only ones with that idea, because the gym was unbelievably crowded. I haven't been climbing very consistently lately, so it felt nice to get back on the wall again. *It's $18, but I have a voucher good for $13 towards a day pass. Though technically it was free since j2 paid for me. I met with a couple of my fellow Boston LUNA Chix around noon for a run around the Esplanade. The path was mostly shoveled, though there was a fair amount of slush. I spent a good portion of the run looking down at my feet so I wouldn't fall flat on my face. Also, I started the run in long pants, a tank top and a long sleeved tech shirt and felt pretty under-dressed at the start. By the end I was so sweaty that I had to take off a layer and was running in a tank top. In Boston. In January. 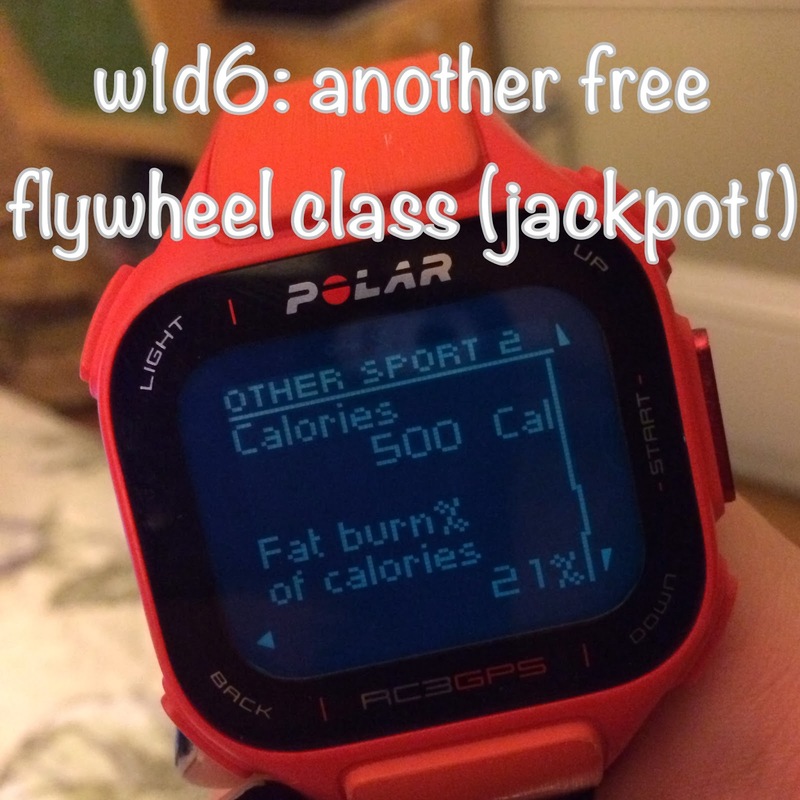 Flywheel has been offering some free classes through Athleta, so I signed up for the 5:30p class. I got there 20 minutes before only to find that it was full. Luckily I was able to attend the next class. Hey, can't complain about a free spin class, right? Anyway, it was a huge win because I was able to try a different (and awesome) instructor AND made a friend. I started chatting with the woman next to me and ran into her again at the T. We talked the whole way, exchanged numbers, and are going to have a lady rock climbing date sometime soon. NEW FRIENDS ARE THE BEST. I've had a few people mention that they'd like to start the challenge - and my advice to you is that the month is what you make it. Just because I'm doing an activity every day doesn't mean that you have to do the same! Your goal could be once a week, or to try a class that scares you. Make it your own. And then tell me all about it!